You must make reservations at least 5 minutes in advance of the time at 1515 Restaurant & Lounge. There are several metered parking spaces in each direction from the restaurant and a large parking garage located a block away on Locust Street and Civic Drive. The cost of the garage is $3.00 all day. Live Music Thursdays! Check our Facebook Page for details, and upcoming performances. We offer a full scope of catering and banquet services. Please inquire with our Special Event and banquet cordinator. Award wining architecture with an intimate ambiance, 1515’s event space is not just secluded, but personal, allowing our guests the intimacy their large gatherings deserve. Passed to stationed hors d'oeuvres, buffet to plated entrees, choose 1515 and let us make your large gathering memorable. With its cozy and inviting ambience, 1515 Restaurant & Lounge serves fresh and inventive California fare for lunch, dinner and weekend brunch. 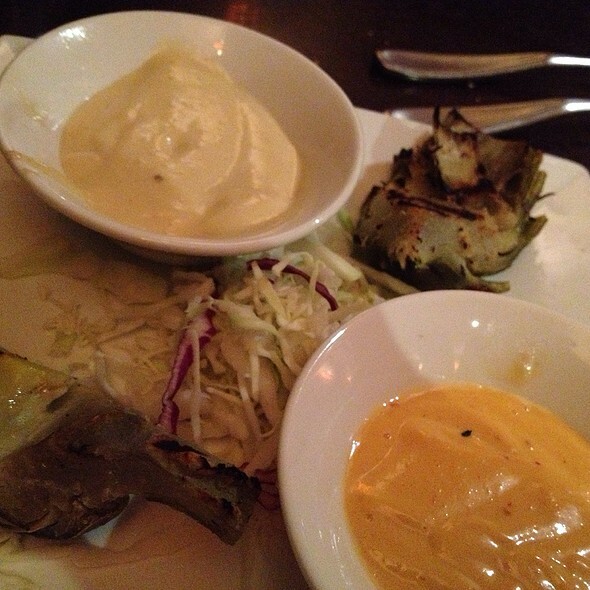 Appetizer options include the pan-seared jumbo scallops with a habanero orange glaze and the grilled marinated artichokes with Dijon aioli dipping sauce. Popular house entrées showcase how 1515 Restaurant & Lounge infuses Italian cuisine with a California twist, including the sea bass topped with shrimp and scallops served over a bed of pesto gnocchi, and the surf and turf combo with a grilled ribeye steak and jumbo scallops with fingerling potatoes. An additional menu with a variety of raw oysters as well as a small plates menu are other popular options. Enjoy days with beautiful weather and your meal outside on 1515 Restaurant & Lounge's sunny patio. My husband and I always seem to go the same places in Walnut Creek, so we decided to try something new. 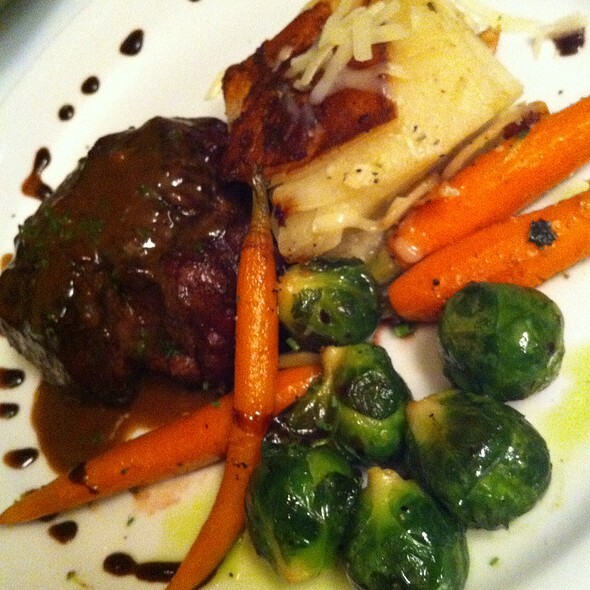 The food did not disappoint, and the service was attentive without being intrusive. The bar was hopping by the time we left; however, the bar and restaurant are separated, so the noise didn't carry over. Both my lamb and my husband's steak were prepared very nicely. Very happy with the ambiance, the food, and the service. Would definitely go there again. Enjoyed the dinner and brunch! Patrick was our server on both occasions and was very attentive. The restaurant is very nice on the inside and outside, and the food was decent but I feel it was slightly over priced for what you got. They have a decent wine list and large bar so maybe happy hour would be more feasible here. The table we were given was horrid. It was right by the kitchen with a thin curtain flapping right in the face of one of our party every time someone went in and out of the kitchen, which was constant. Plus the sound of the kitchen doors. We went for a special occasion which as a let down. They did not close the doors between the bar and restaurant area and there was a bar full watching a ball game and we could not hear one another at all. Very poor ambiance, good food although one of our party was given the wrong order....not even close to what he ordered. We had reservations well in advance so we should not have had such a bad table. I took out my team for a Christmas lunch. I had never been here before. The food was excellent! The appetizers are a meal in themselves. Everything was well presented and tasted delicious. I had the french onion soup to start and it was full of onions and topped with bread and cheese. Most of the time you get a watered down broth. My pear salad was wonderful. Someone got the tuna tartar which looked like a piece of artwork. You should try this place. Excellent choice of plates and ambiance for a business meet and greet lunch. Not too stuffy or to casual...nice place. 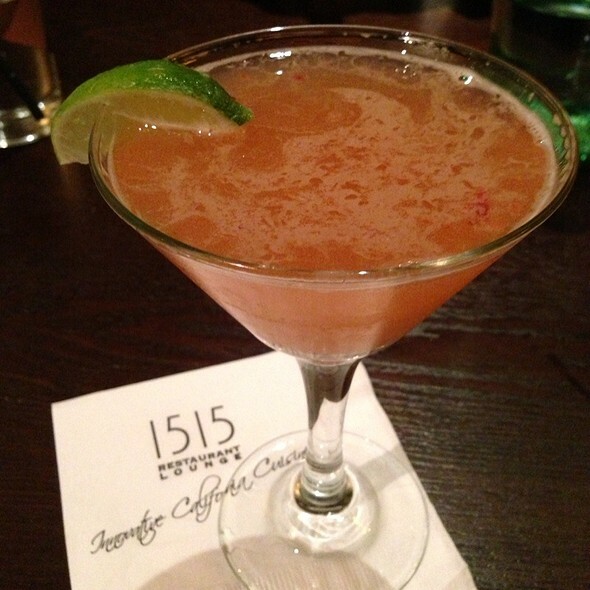 1515 is my go to place - brunch, lunch, happy hour. Very disappointing, barren tables, ambiance lacking. Made reservations telling them it was my wife's birthday and no acknowledgement whatsoever. Also on their menu they list prime rib but what they don't state is that they reheat on grill. That is a sin!!! So many better places in vicinity, save your money. This place has good, solid food, with decent portions at a fair price. The medium-rare lamb chops were cooked medium-well, though. Service is professional, although it can be difficult to get the waiters' attention at times. The atmosphere can get pretty noisy, especially if there's a game playing at the bar. We were seated at a table next to the kitchen. Noisy and hectic. Served mussels that were in an oily, spicy broth. Spice was not mentioned on the menu. Had to search for a server to get a refill of water. Server was disinterested and harried. Won't return. Our dinners were very good with unique spices. The wait staff was helpful and attentive. Choices for all courses offered good spectrum. Wine selection was creative and reasonably prices. The Sea Bass was delicious! The food is consistently of high quality. Love the crab stack. Starters and desserts were excellent but my entree was extremely disappointing. I ordered prime rib and what arrived was unlike any I've ever had. I expected a pinkish-red cut of meat; instead it was covered with a dark coating and was pretty tough and tasted of tenderizer. My expectation of creamy scalloped potatoes turned out to be a dry square with an off taste. I wanted to send back my entree but my dining companions were satisfied with theirs, even the one who also ordered prime rib but the end cut so it would be cooked through so I didn't want to make a fuss. I did bring home the left over beef and my husband made an excellent stir fry with it along with some Chinese bitter melon flavored with Chinese oyster sauce. Overall, the food was kind of spotty. The brushetta has great fresh tomatoes, but the bread was bland. If they had used a good Acme or Semifreddies load, it would have been awesome. Similarly, we had the raw tuna starter. It was beautifully prepared with fresh ingredients, but they must have left out all the salt and seasonings, so it was bland. Again, with a little extra effort it could have been great. 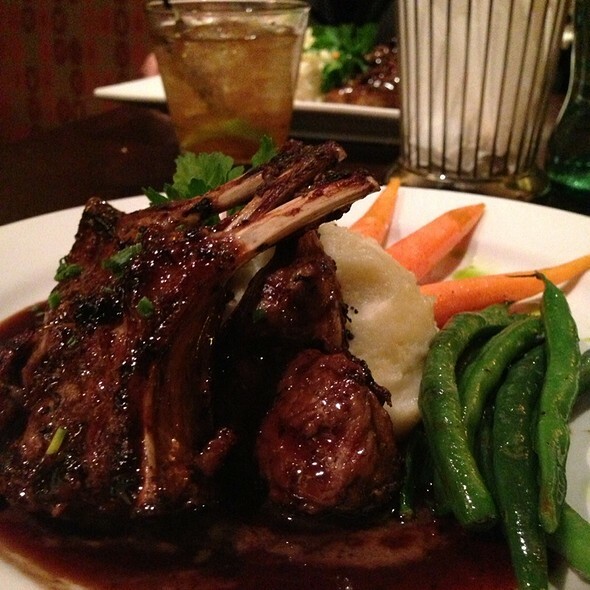 The lamb chops would have been good if they had been cooked medium rare as ordered. Unfortuantely, the were well done and dry. The presentation was very nice on all of the dishes. The beer list was short, but they did have a nice Sierra Nevada IPA. The wines by the glass were generous and well priced. The patio is really nice and comfortable. With a little focus on the food and execution, this place could be really good. In the mean time, if I want nice patio dining, I'll head to Corners instead. had a quick brunch over the weekend--new brunch only menu on weekends. Really very good, service is fine and nice outdoor sidewalk setting. The day was gorgeous, the food superb and the atmosphere was perfect. Every meal I have had at 1515 has never been a disappointment. The service was great and the food was delicious! 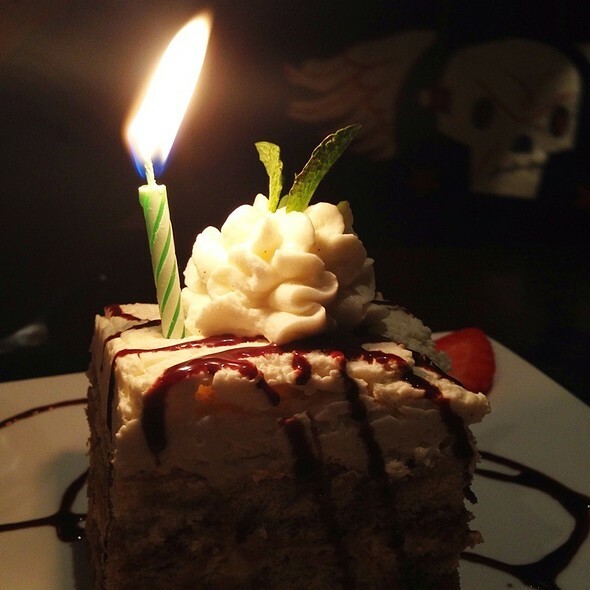 This was our first experience at 1515 and we were all pleasantly surprised with the food and service, particularly since we were celebrating a birthday in our group! Our appetizer arrived before our wine, and had cooled considerably by the time our wine was served. The seafood medley main course was excellent, but the sea bass that we ordered for our other main was overcooked and the gnocchi it was served on top of was gummy. I would definitely order the seafood medley again if we were to return. On another note, they use really cheap wine glasses. Not very classy. Not sure we'd return here. Took my corporate guests here because I loved this place. Not anymore. It was a near disaster. Ordered an expensive wine but had to request for the server to pour it. The glasses were cheap big non crystals. They need to invest on Riedels. Ordered oysters but came after the main course. Big no no. What saved the night was the good wine Franks Family Vineyard Cab. Paid big money and it wasn't top notch. The tuna tartar wasn't marinated...so was blend. The waiter returned to inform us that they ran out of sesame seeds....and came back with about 2 tbsp dressing. My sister had the sea bass which was good but the scallops that came with the dish was very fishy. Prime rib is cooked a certain way and that was what I was expecting. But it was seared on both sides, resembling a rib eye steak. The waiter tried to explain but I wasn't convinced...prime rib should have the texture of prime rib. They shouldn't call that dish 'Prime rib'. Very friendly stuff. Help us to move outside when table become available. Our server, Luis, sadly colored the entire dinner by either not being there or being slow with our meal, order taking, bringing the coffee with the dessert, etc. The food was good (loved the sea bass) and they were great about splitting our entrée as we had appetizers and salads and knew that we couldn't eat an entire entrée plus dessert. 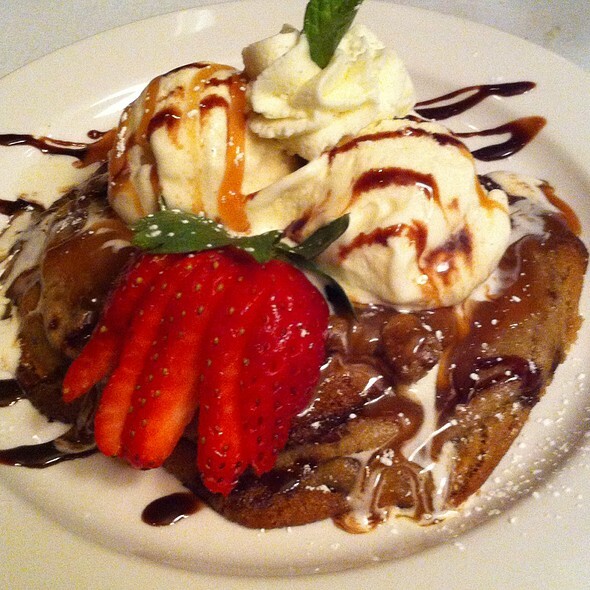 The chocolate chip cookie with ice cream dessert was outstanding -- it would have been nice to have our coffee brought at the same time. We didn't hear from him until about 15 minutes into sitting down, and we were asked how our food was when we had taken about the last bite. Timing - it's everything with service. I was entertaining an important client and she noticed this as well. I hope he takes this with a humble heart and does better next time. Although they showed no reservation in my name, (Open Table ?) I was given a table by the staff even when my date failed to arrive on time. I appreciated that very much. Service was attentive, excellent and very prompt. I will recommend this restaurant and hope to go back soon. It had been almost two years since last time I had been. We had a 8pm reservation and after waiting several minutes to be greeted at out table, first thing the server mentions is "the kitchen is backed up and it will be a slow service tonight". He was right and he was extremely slow and left us abondoned several times. Good was incredible though and drinks were very tasty too. Very accommodating. Was able to make our favorite Caprese sandwich which wasn't on the menu. Made 2 out of 3 people very happy. My crab stack was rather bland, but I was still happy since my 92-year-old aunt was happy with her caprese sandwich. Thanks for the extra mile! Eating on the outside patio is the way to go. 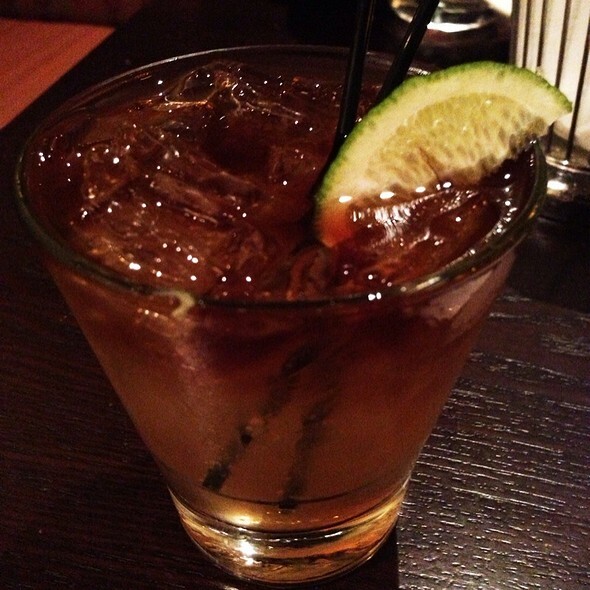 Great appetizers & drinks. Favorites are coconut prawns and calamari. Delicious cream brûlée. Fun place to gather with friends! Destination spot for the younger crowd on the weekend. Our waitress did not seem happy to be at work. She never once smiled. She forgot part of our order and had to come back to ask - although I will say she was covering all of the tables outside. One glass of wine was delivered very late & one appetizer we almost thought they forgot. I have been here before and had much better service! Might have been an "off night"! Everyone was pleased with their choices.. Each item was well prepared & presented & very tasty.. Friendly service. Extensive menu. Romantic ambiance. Fireplace on patio. Relaxing atmosphere. Reserved through open table so we got a nice outdoor table. The food selection was excellent. I had the sea bass which was over the top delish and my husband the blackened halibut. Started with bruschetta given the heirloom tomato season we are in. Luke's service was really good. The only negative were the chairs -- not the most comfortable but okay for the 1.5 hours we were there. The patio felt a bit cramped, but it was a fun outdoor scene. Highly recommend them. 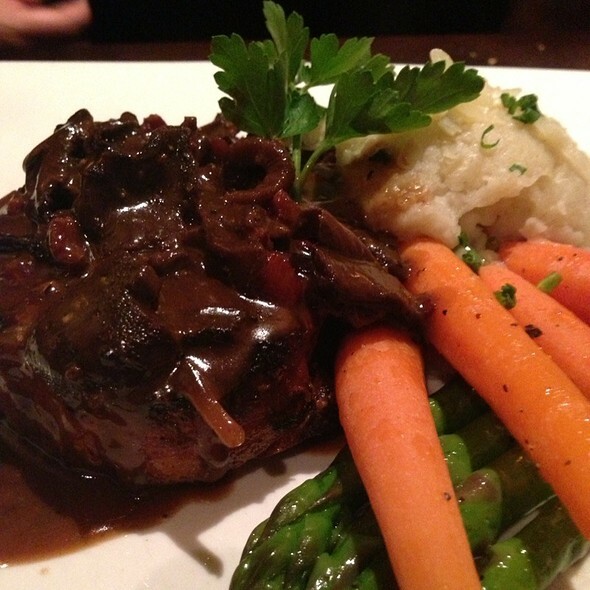 The food had nice flavor and the waiters were helpful and efficient. Went here for a birthday celebration and have to say I'm glad I did. I would recommend the sea bass, lamb and mixed seafood grill. All well seasoned and the sauces they use for their dishes are some of the best I've ever had. If it's available, try the lobster chowder. The atmosphere was nice, but given the weather I would recommend outside dining. They have a very nice setup for it, roomy and comfortable. Price wise, I think it's reasonable for the quality and quantity of food you get. If possible, make sure you get a polenta cake with the lemon aoli sauce. The only slightly negative thing I can say is the drink menu isn't as up to par as the food, but given that the food was excellent I can only rate the bar drinks as very good. All 4 of us enjoyed the experience from Happy hour cocktails to having dinner out doors, 3 of us had the steak special and it was very good, all cooked to each of our liking. The server seamed super busy. at first the server came twice to get our order. And i ordered a starter and no one brought it. The server wasn't anywhear around and i even was trying to find someone else to let them know our starter hasnt come but no one came to check on us for 30minutes . Eventually 30 min later we received our main dish. With no apology or even realizing we had a starter. The person who brought the food had to go find the server. He did came back and applogize but i was already mad because i had a guest from out of town. To be fair as an apology at the end he gave us on dessert on the house but still it wasn't great service. Although i did feel bad for him because i didnt find anyone helping him. 1515 was a perfect spot to spend an evening with girlfriends. We order many of the starters and small plates along with a salad and the evening's special. We were all able to taste a little of everything we ordered. We will definitely be back! I made a reservation for this place last minute, even though I have been wanting to go here for a few months. It was for my guy's birthday and I thought it would be upbeat and fun after a long day at work! Upon arriving, we waited next to the host's stand and were not greeted. Host #1 was busy flirting with these 2 guys in front of her while we stood trying to get her attention. Host #2 asked, "have you been helped?" I replied that we had not then she said, "Ok, what's up?"....ummmm...what? I'm sorry, is "what's up" how you greet all of your patrons, or just the ones who are African American (since we were literally the ONLY minorities there besides the back of the house/cleaning staff). Right then we should have turned around and left, but my guy really wanted to give things a second shot because he waited all day to eat here. Our waiter was nice, but did not go over the list of specials at all, especially not in great detail as the waiter did for the table directly next to us (who arrived later). I ordered the Jambalaya which was over salted and too spicy, which we were not informed about. My guy ordered the Mixed Seafood Grill, which he enjoyed. 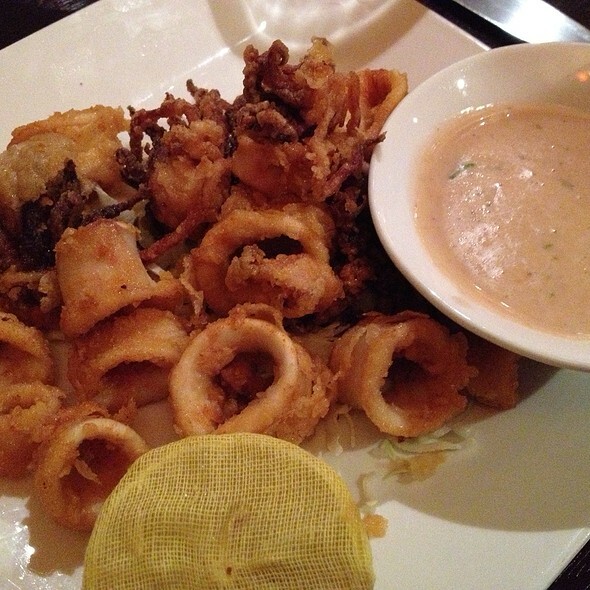 The appetizer was calamari, and it was super bland and had zero seasoning. We ordered 2 Sangrias, which were fairly watery. My guy kept telling me not to complain so that he could enjoy his birthday dinner, but I could barely enjoy the meal after being disrespected by the host, given less than subpar food and drinks, and then getting a bill for $98 for a crummy experience. We will never return there. EVER!!! Can't remember the last time I had such an unfriendly wait staff. I used the Open Table website to reserve a table for two of us. Also added in the notes area my husband and I were celebrating our 32nd anniversary, however there was no mention from any of the staff or nothing like a complementary item was offered. We also felt our server was friendly and helpful, however, may have been busy, did not check up on us much. The food our server suggested was delicious, he also gave us a tiny sample of an item we had questions about, which was quite nice of him. I would try this place again.